“So I focus on crimes and drugs. I said, 'I will stop drugs,'” Duterte said in his speech at the inauguration of the Northern Mindanao Wellness and Reintegration Center (NMWRC) in Malaybalay, Bukidnon. “I have raised the matter of drug contamination as a security threat to the country. It is a security threat to the country,” he added. 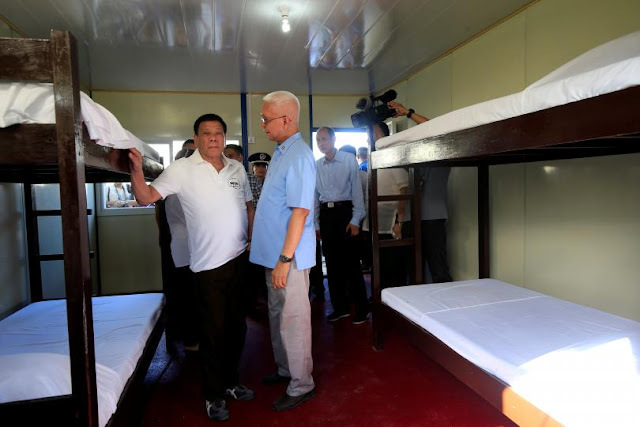 Chinese-owned Friends of the Philippines Foundation (FPF) has financed the construction of the NMWRC that will serve as rehabilitation and skills training center for drug dependents. Presidential Spokesperson Harry Roque thanked FPF founder Jose Kho for donating the PHP500-million NMWRC, which can house 500 to 800 drug dependents. “Now the foundation that built the center not only donated the money but also invested time and energy in the design, quality, construction of the rehabilitation center, making this not only the best in the Philippines but also one of the best in Southeast Asia,” Roque said. Upon completion, he said the FPF will donate PHP13 million yearly to support the wellness center's operation. Roque also expressed gratitude to the Chinese government for supporting the Philippines’ anti-drug campaign. “We would also like to thank Chinese President Xi Jinping. Under the leadership of President Xi and President Duterte, the relationship between the Philippines and China has now entered the best level in history and will continue to be even better,” he said. He said Philippines-China relations is at its renaissance and at its best.